Turn on a TV recently and chances are you’ve seen some gardening masterpieces- and not just the Chelsea Flower Show, either. 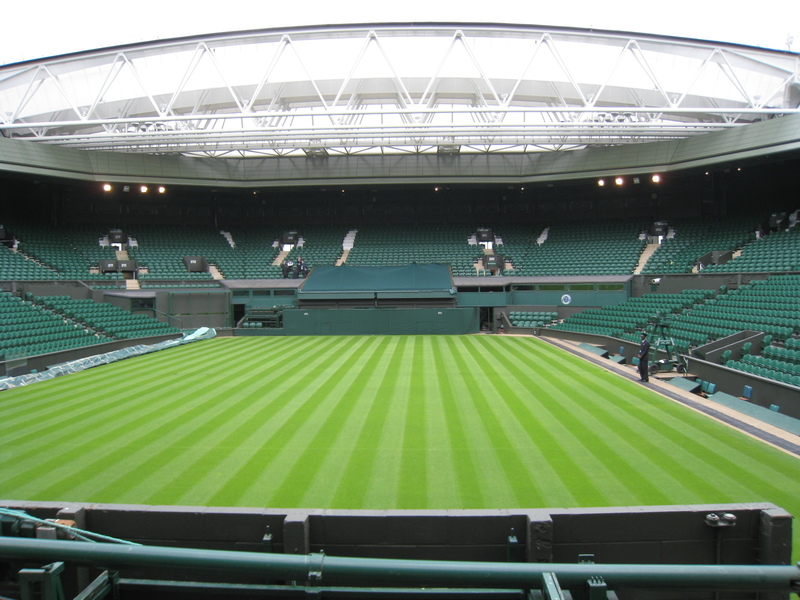 Wimbledon and test match cricket not only showcase some of the world’s finest sporting performances, but some of the most carefully-tended and demanding grass management in the world. Every bit as ambitious as the finest exhibition garden, these apparently simple grass squares are planned and sculpted with scientific precision. Though the players’ might get all the attention, for the groundsmen, it’s definitely a challenge equal to the competition set to unfold between the players who will follow their (careful) footsteps across the grass. So what does it take to become a world champion of lawn care? And what secrets do these masters of their art bring to bear on perhaps the most hallowed patch of grass in sport? The sporting comparisons are obvious. The team striding out onto the grass, the pressure of the task ahead, the uncompromising pursuit of improvement: it can’t escape the hard-toiling groundsmen that their art requires at least as much dedication as that of the sportsmen and women who draw thousands to watch an ancient lawn game become an earth-shattering global event. Not that watching grass grow would make for as spectacular a tournament, but the finished product of a 12 month slog of forensic weeding and trimming does, if only by being so level, so precise, so unobtrusive that it’s never, ever noticed. To take Wimbledon as an example- most people assume the event is played on artificial turf, so perfect is the lawn: but no, it’s trimmed to exactly 8mm, and rolled, every day by professional ground care staff who are also responsible for constant assessing and monitoring of the state of the ground, the daily weeding and measuring, checking for signs of outside species encroaching on the very specific species of perennial rye grass used. Special, delayed-release fertiliser is added, as are herbicides, to preserve the integrity of the lawn and produce a lush, even spread with the hardiness to take all that rolling and cutting- not to mention tennis- in its stride. And while most fans are still coming down from this years’ tournament, the site’s ground crew are busy preparing for next year- stripping back the turf and replanting an entire new law from seed- after a rigorous aeration and weeding process. With luck, the lawn will be judged ready to go by next year’s tournament, although even as the event continues it will receive intensive-out-of-hours care, and a day off for some TLC (and plenty of water) before the final few days of the event. Just like the famous names who play on it, the lawn gets the complete care package- ensuring maximum performance and a healthy appearance that can survive the fiercest tennis matches around. Cricket is no different- a carefully-devised timetable of feeding and scarification aimed at m aintaining health and drainage keeps the lawn and in particular the square in good health from Trent Bridge to the Oval. Higher impacts during play and increased wear and tear to the grass itself lead to a build-up of thatch that has to be kept under control during the season, which the off-season is dominated by feeding, top dressing and scarification- with rolling and cutting less of a concern during the damper months.